Jonathan Fleek keeps his eye on the batter as he leads off second base. MACOMB, Il. 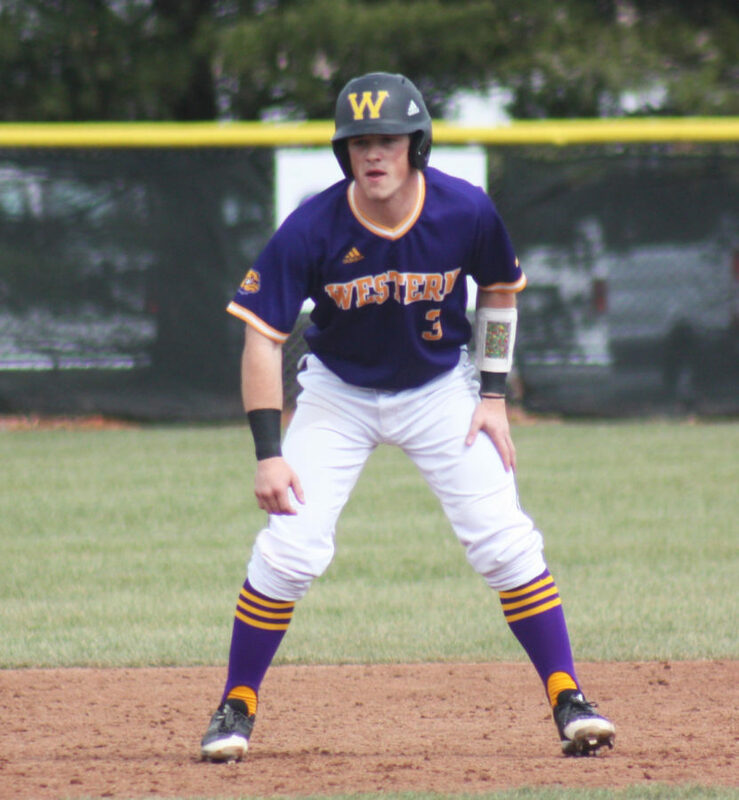 — The Western Illinois Fighting Leatherneck baseball team will face off against the Bradley Braves after a tough series against the Fort Wayne Mastodons last weekend. The first game of the series was held on Friday, and it was a pitching dual throughout nine innings. Brandon Phelps and Ian Koch pitched extraordinarily for each team, but the bats were the key difference maker in the first game. The Mastodons scored runs in the third, fifth and sixth innings. Shannon Baker, who went 2-3 with two walks and an RBI, led Fort Wayne. 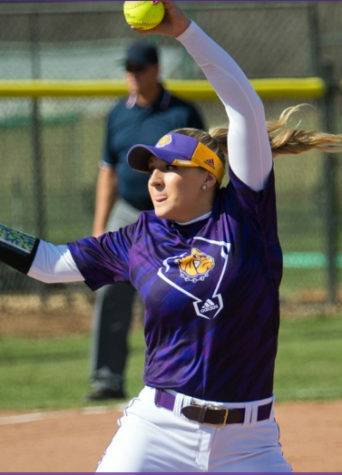 Behind Baker’s strong performance at the plate and Phelps’ outing on the mound, the Leathernecks were no match for this overpowering display of talent. Western Illinois notched their only run in the top of the ninth inning. They were led by outfielder Steve McShane who went 2-5 at the plate, but hitter Alex Dorethy made some waves late in the game going 1-1 with the teams only RBI. However, it was a quick turnaround for the Purple and Gold the next day. In the second matchup against IPFW the tides began to turn. 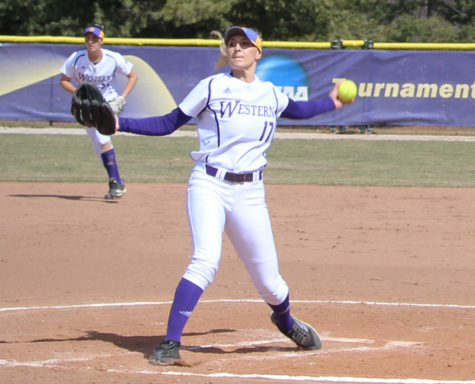 Dunne pitched seven innings and allowed only two runs, while recording eight strikeouts for the Leathernecks. 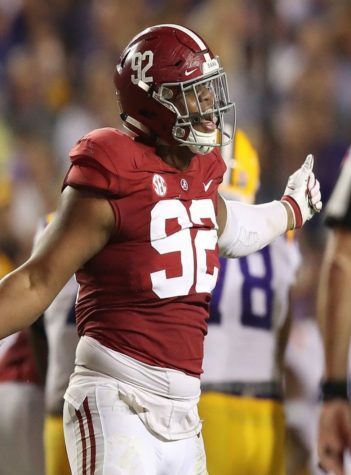 “Everything was really clicking for our team today and it felt good to go out there and give us a chance. I’m happy. Our defense was going again early in the game and helped get me in a groove, but it took a lot of pressure off when we got that first run in the first inning and a couple more after that in the sixth. Our offense did well,” said Dunne, who got his first victory on the mound this season. Dunne’s teammates saw the performance he was showing on the mound and provided plenty of run support to get the job done. The two combine for 41 hits and 18 RBIs. Thompson edges out Fleek in batting average posting a .266. Thompson is a thief on the bases as well, tying for first for stolen bases in the Summit League with nine. The Braves have had their own successes this year, boasting a 14-7 record on the year. The Braves are coming off of a 2-1 series win over the Crusaders of Valparaiso University this past weekend. Leading the Braves in batting average is junior infielder Luke Mangieri. The infielder has a .388 average on the season. He has appeared in every game for the Braves this season. In his 21 appearances, Mangieri has 33 hits, five doubles and 12 RBIs. Mangieri also leads the team in on-base percentage, ending up on base 48.1 percent of the time during this season.